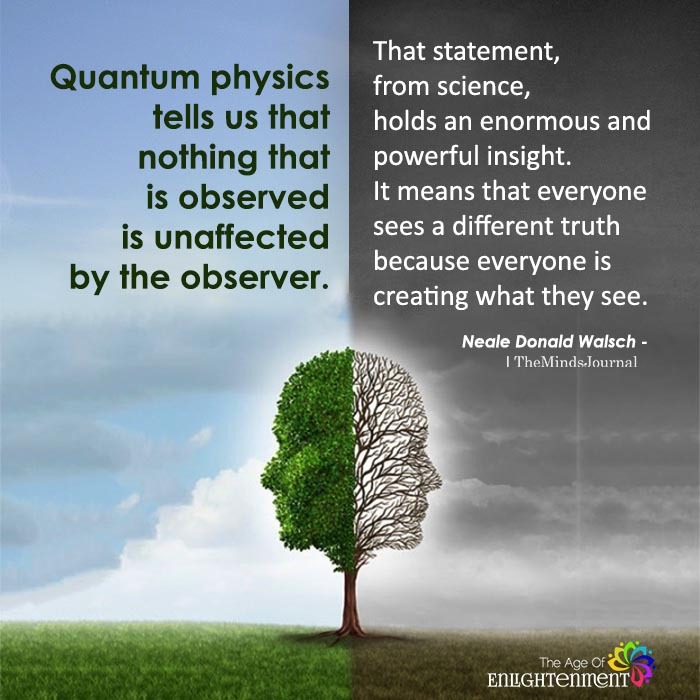 Quantum physics tells us that nothing that is observed is unaffected by the observer. That statement, from science, holds an enormous and powerful insight. It means that everyone sees a different truth because everyone is creating what they see. That’s not what that means, you are deliberately misinterpreting it in order to push your agenda.